I have know about and been fascinated by Ferrari (NYSE:RACE) since I 1st learned of it in the pages of a Y 1953 article about Jim Kimberly in my father’s Esquire Magazine. Jim Kimberly was the scion sportsman/racer of Kimberly Clark Corporation (NYSE:KMB) founder. A person may never see a Ferrari in person ever, let alone sit behind the wheel, yet virtually every on this planet knows what the Ferrari brand symbolizes. What began in the 1940’s as a passionate racer’s racing enterprise has evolved into a lifestyle in this 21st Century. Today, a fan can buy hats, jackets, backpacks, and shoes marked with Ferrari’s iconic Prancing Horse logo; visit theme parks where the roller coasters and go-carts riff on Ferrari F1 race cars; read a magazine dedicated to the cult of Ferrari. The Big Q: How did Ferrari build the world most recognized automotive brand? A good product alone does not create a legendary company, it takes a combination of vision, execution, and knowing how to cultivate a legacy, while always looking forward. Enzo Ferrari at the Italian GP, Monza Y 1961. 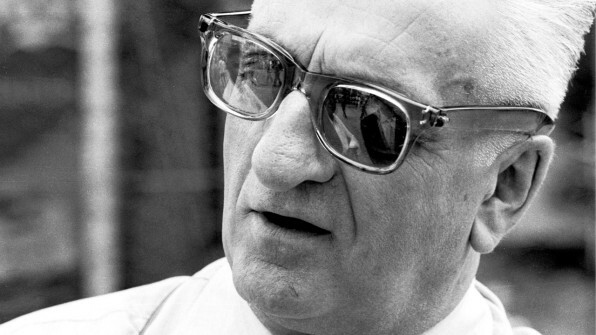 Enzo Ferrari founded his race car manufacturing outfit in Y 1947, but the company’s origin story starts years earlier. In Y 1929, Ferrari, 31 anni at the time and an established race car driver, founded Scuderia Ferrari, which bought and raced high-performance cars mostly for Alfa Romeo. He was always concerned with what would enable him to win. Eventually, he decided that to have an edge he would have to build and design his cars from scratch, starting from the engine. This ideal was to build a high-performance machine and it began with the engine. “I don’t sell cars, I sell engines,” Commadatore Ferrari once said. “The cars I throw in for free, since something has to hold the engine in.” The statement is hyperbole since the design of Ferrari’s auto bodies is instrumental in how the car drives. There’s an unmistakable look to Ferarri’s cars today, and every contour serves a deliberate, purposeful function to route air around the car and improve performance. The designers are looking for ways to push the car to the ground and make it more stable. In Y 1951, Ferrari enlisted the Turin-based auto body manufacturer Pininfarina to build his cars, which employed an architectural approach to how it sketched its designs. 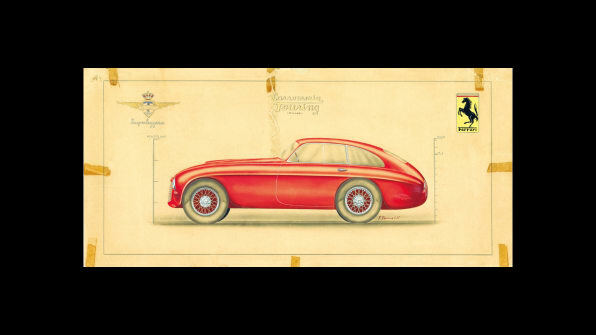 The draftsmen would draw cross sections and elevations for the cars–the shape of which was based on aerodynamics–then send those specifications to modelers to create full-scale mock-ups of the cars in wood. Over the years, Pininfarina changed the material it uses to mock up the cars, transitioning to metal and wire frames to plaster to foam and now clay. The designers today sketch and draw using digital tools, but they always make clay models. “[Ferrari] says there’s something not quite there when [a design] comes straight from the computer,” Mr. Nahum says. “The sculptural unit of the car is absolutely important, they pay great attention to that. The car modelers typically mock up a new design in clay based on the designers’ drawings. Then the designers inspect it and offer feedback on the aesthetics. “It’s an emotional reaction–it looks too muscular, it looks too mean, it looks too hollow,” he says. The modelers then correct the silhouette in clay until it reaches the right look. That dialogue with the past is a Key part of Ferrari’s branding strategy. “What’s striking to me is that Ferrari and its approach today really have continuity with Enzo Ferrari and his ambition and personality,” Mr. Nahum says. “There are a number of extraordinary high-performance cars around with extraordinary capability, but they don’t go back to 1947 with an unbroken lineage of outstanding cars When Nahum was conducting research for this exhibition, he found that Enzo Ferrari was always very particular about how his brand was represented. For example, he kept a tight rein on his Prancing Horse logo. It was originally the personal symbol of a WWI Italian fighter pilot. After the pilot died in a crash, his family permitted Enzo to use it for his enterprises. He applied his logo, which he modified to include a Yellow background, the official color of Modena to all of his cars. He also put the logo on an annual yearbook Ferrari published and on products that he would give as gifts to friends. Branded merchandise is common today, but it was not during Enzo Ferrari’s time. Today, the manufacturer and lifestyle brand we know has evolved beyond its start as a scrappy racing outfit from a racing enthusiast, and there are dozens more stories about how Ferrari’s design language and ethos helped turn it into the power it is today. 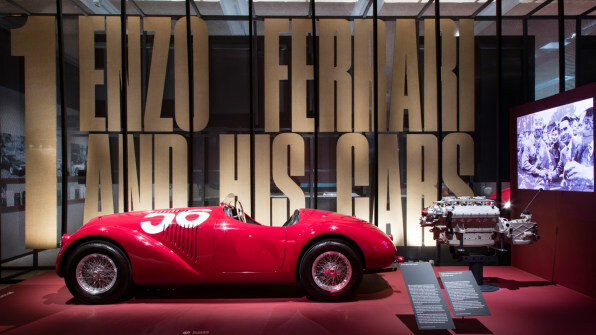 Mr. Nahum hopes the exhibition, which includes actual cars, video, sketches, archival photographs, and new interviews with present-day leadership helps Ferrari fans learn more about the design and process behind their favorite cars. He also hopes design enthusiasts earn an appreciation for automotive design, a field that does not receive the credit it deserves. Ferrari: Under the Skin is on view at the Design Museum until 15 April 2018. Phaidon has published a catalog accompanying the exhibition.